We recently trekked up to the city of Avignon to attend the Motor Festival, an annual car show and swap meet that stands out as one of the biggest events of its kind in the region. 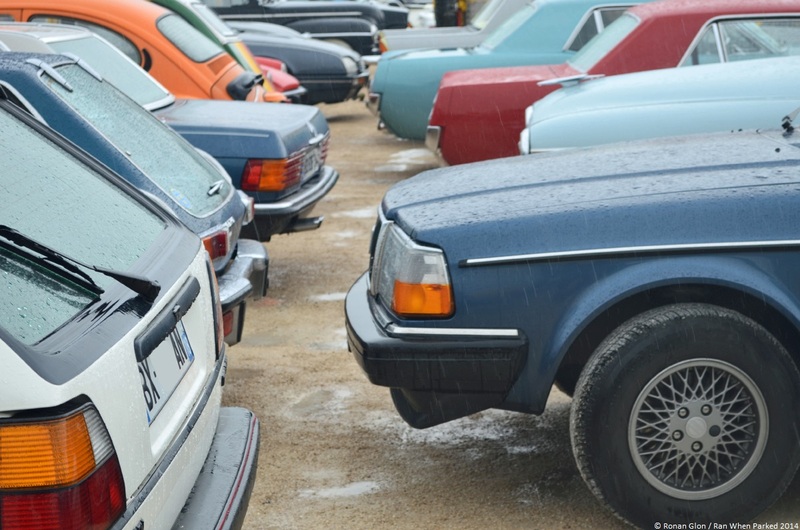 It poured rain during most of the show but that didn’t stop enthusiasts from all over the south of France from hopping in their vintage cars and driving to the event. We’ve been attending the show for several years now and we can’t help but notice that the cars get nicer and nicer each year. While there were some stunning vehicles on display, we would have liked to see more unrestored classics and low-value cars attends the show. We did not see a single Renault 14, not one Citroën Visa, only a single Citroën GSA and so forth. Some of the most notable unrestored cars included a Citroën Ami 8, an early-1960s Citroën 2CV and our own Renault 4 F4 – the only 4 van at the show. Newer classics (sometimes called youngtimers in Europe) were out in full force. Peugeot 205 and 309 GTis were a dime a dozen, and we also spotted a second-gen Volkswagen Scirocco, a couple of Mazda MX-5 Miatas, a BMW E32 7-Series, a remarkably clean Citroën BX, a Lancia Delta GT, an Opel Rekord and even a Renault Super 5. Like we mentioned last year, the swap meet part of the event is kind of disappointing because it is largely made up of professional vendors. The same folks show up to sell parts, books and model cars year in, year out and their inventory rarely changes. Below are some of the pictures we managed to snap from under our umbrella. Don’t hesitate to email us if you would like high-res shots or more pictures of a particular car.